Elena first set foot in Jordan more than 20 years ago as an undergraduate on an archaeological field project in Aqaba. It was the beginning of countless life-long obsessions, both personal and professional. She holds a Ph.D. from the Department of Near Eastern Languages and Civilizations at the University of Chicago, where she specialized in the history of the modern Middle East, particularly the narratives woven by archaeology and related sciences in contexts of colonialism, nationalism, capitalism, and resistance. Her book, Competitive Archaeology in Jordan: Narrating Identity from the Ottomans to the Hashemites, was published by the University of Texas Press in 2014. Prior to AMIDEAST, Elena was Center Director at CIEE in Amman for almost 5 years. Before that, she was on an academic career path at both Penn State University Erie and the U.S. Naval Academy, where she was involved in numerous initiatives to get students to study abroad in the region, including program and curriculum design and implementation. A former CASA, ACOR, CAORC, and Fulbright DDRA fellow and the first program coordinator for CLS in Jordan, Elena is deeply passionate about mentorship and enabling for others the same kinds of opportunities that have been so critical on her own journey. As much as she loves and misses the classroom, writing, and being engaged in academic fieldwork, she finds great meaning and fulfillment in getting students studying abroad in the Middle East. Zerlina received her bachelor’s degrees in French and Political Science and a minor in Middle East and Islamic Studies from the University of Louisville in 2015. Her first exposure to international exchange was during high school when she participated in a cultural and language immersion trip to Europe where she visited France, Italy, and Spain. In college, she spent a summer in southern Spain and Morocco studying Islamic Art and History where she was instantly drawn to Morocco and the region. She later returned to Morocco in 2014 where she participated in a program focusing on the question of migration and transnational identity and wrote an original research project focusing on relations between the Moroccan community and sub-Saharan migrant population. Upon graduating from her university, Zerlina conducted an original research project as a 2015-2016 Fulbright researcher focusing on Black migrant women’s status in society and an analysis on colorism, identity formation, and how sub-Saharan migrants are treated as they cross into Morocco in hopes of reaching Europe. During her research period, she also traveled to Jordan to meet fellow Fulbright scholars and discuss their respective fieldwork in the region. At the end of her grant, Zerlina presented her research at the annual Morocco Fulbright Alumni Association conference. Zerlina joined AMIDEAST in September 2017 as a Program Assistant within the Fulbright Foreign Student Department where she helped manage and advise Fulbright study grant recipients from Morocco and Tunisia. In October 2018, she joined Education Abroad as the Program Officer where she manages the YES Abroad and NSLI-Y programs for American high school students traveling to Morocco and Jordan. Katie first traveled to Jordan as an undergraduate student on an archaeological study abroad program nearly 20 years ago, and it shaped the rest of her career. Katie went on to earn two Masters degrees from The University of Chicago, where she specialized in Islamic Archaeology, particularly that of the Ottoman period. She has studied, excavated, and worked in a number of countries in the MENA region and the Balkans. Before joining the AMIDEAST team, Katie worked at the Duke University Middle East Studies Center as Program Coordinator, where she was able to expand her knowledge of academic administration, outreach, and programming. Prior to Duke, Katie lived in Istanbul for many years teaching at Istanbul Bilgi University where she taught a variety of undergraduate courses, advised students on study abroad programs, and organized intercultural workshops with the Danish Institute for Study Abroad. For more than a decade, Katie has also been the Library Fellow and managing editor for TARII (The American Research Institute in Iraq), a subsidiary of CAORC (the Council of American Overseas Research Centers). Katie joined AMIDEAST Education Abroad in July 2017. Hazel knew she wanted to specialize in the Middle East after a Hebrew and Arabic language summer program in Jerusalem at Hebrew University. After this, she obtained her BA at Florida State University and subsequently her MA at University of Michigan in Middle Eastern and North African (MENA) studies. After graduation, she was awarded a Fulbright Teaching Assistantship Scholarship and began teaching at Hassan II University’s Ben Msiik campus in Casablanca, Morocco. Living with a host family for the duration, Hazel fell in love with Moroccan culture while at the same time witnessing the transformative effect of international cross-cultural programs on both her students and herself. 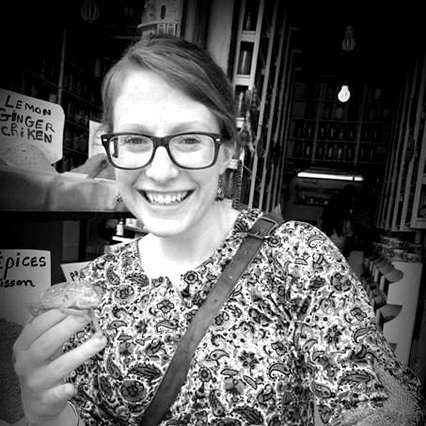 At the end of her Fulbright, Hazel decided to extend her stay in Casablanca and joined the American Language Center (ALC) as an English instructor and community service coordinator. As ALC’s community service coordinator, Hazel facilitated youth-led community projects addressing Casablanca’s environmental and pollution problems. Collaborating with local NGO’s, Hazel worked on projects ranging from a city-migrant worker empowerment project centered on recycling to shoreline restoration projects. After two years in Casablanca, Hazel left for D.C. to begin work as the office manager of the Palestinian American Research Center (PARC) connecting her interest in enhancing regional academic scholarship and educational MENA cross-cultural programs. At PARC, Hazel contributed to improving Palestinian scholarship, enhancing academic linkages between Palestinian and American academics, and exposing university faculty and media journalists on Palestinian issues. Hazel joined AMIDEAST in August 2017. Dr. Rachid Touhtou earned his first Master’s degree in 1999 in Teaching Pedagogies, Applied Linguistics, and English as a Foreign Language Teaching from the École Normale Supérieure in Rabat. His second master’s degree was earned in 2003 in Gender Studies, Linguistics, and Development Studies from the Sidi Mohamed Ibn Abdellah University (Fez) and the Free University of Amsterdam’s Cultural Studies Department. From the same university, he attained a PhD in Gender and Development Studies. Dr. Touhtou began his professional career as an Assistant Professor at the National School of Statistics and Applied Economics in Rabat in 2008, which he continues to teach. From 2010-2012, he was the Department Head of the Social Sciences, Communication, and Languages department. In 2009, he started lecturing on Civil Society, Gender, and Migration at various institutions including the Dutch Institute in Morocco, the Moroccan American Commission for Education and Cultural Exchange, and the Center for Cross Cultural Learning. Dr. Touhtou has published several publications and a book about civil society and gender dynamics in Morocco. In 2014, he was a research fellow with Arab Reform Initiative Think Tank in Paris working on research linked to volunteering and public policy in Morocco. In 2015, He was a fellow researcher in Humphrey School of Public affairs in Minnesota University in USA and in Cambridge University in the UK working on a research project related to human rights and civil society. Wafa completed her bachelor’s degree in Journalism and Political Science from Al Yarmouk University in Jordan in 1993. Throughout her academic years, she always had a passion for language and literature. In addition, she has always been active in a number of activities such as Literature Club, Amnesty International, the Jordanian Women’s Union, and the Anti-Violence Society committee. Lastly, her passion for the Arabic language was what drove Wafa to win a first place award in short story writing at her university. After graduating, she began her work at Al Nadwa for Research and Studies where she excelled in writing essays, research, and studies run by the office in Jordan. Based on that experience, she moved on to become an editor for the Special Issues department at one of the leading daily newspapers in the country, where she did reports on stories such as women and humanitarian features, plus academic and public polls. As a correspondent of a well known press regional news agency, Wafa followed up with governmental departments, international organizations, and travelled to cover major events as needed for this important position. After taking a course in teaching Arabic as a second language at the Jordanian University, she began working as a teacher at Qasid Institute, teaching the language to students from different backgrounds such as university students, diplomats, NGO staff etc. for 3 years, and then moved to do the same at AMIDEAST for the past 4 years. Wafa’s philosophy is that the essence of learning a new language is the thrill of new experiences, and most importantly, having fun. She also believes that she learns from her students just as much as they learn from her. Moyagaye Leverett is a doctoral candidate in the history of the Modern Middle East and Africa. Her love for the Middle East and Africa began during her undergraduate studies . As an undergraduate, was an avid study abroad student, always seeking out opportunities to travel to the Middle East and North Africa in order to study Arabic and other indigenous languages such as the Tashilhit. This passion for the region continued during her matriculation as a graduate student. Her extensive residency in this region has been supported by Fulbright, Center for Arabic Study Abroad, and American Institute for the Maghreb Studies grants. She is pleased to bring her passion and lived experiences to position of Arabic Coordinator. Myrna received her degree in Applied Linguistics from the Jordan University of Science and Technology in 2005. After graduating, Myrna began her intercultural experience working for the U.S. Peace Corps in Jordan. Myrna held several different positions with the Peace Corps. She started as a Language and Cross-Cultural Facilitator and then served as a Youth Development Program & Training Assistant and Gender Coordinator where she trained and supported Peace Corps Volunteers in intercultural skills. In this position, Myrna also worked to build strong relations with community members. Myrna went on to become the Acting Regional Manager for the Peace Corps in the Ajlun Governate, where she identified and prepared worksites and housing for the volunteers. She also served as the primary point of contact for volunteers in that region of the country. Myrna’s most recent work included working as the Grants Coordinator, managing the Small Project Assistance grant between USAID and the Peace Corps in Jordan. Myrna is excited to bring her skills and experience to continue working in an intercultural environment and to be a part of AMIDEAST’s team in Jordan. Myrna has been working with AMIDEAST since the fall of 2015. Omar started working with AMIDEAST in June 2014 with the Educational Testing department, where he assisted with the TOFEL and English language placement exams. Later in the year, Omar assisted with the Training department, Coordinating class schedule, preparing English classes materials in addition to English language exam proctoring. In 2015 Omar joined the Educational Abroad department as n intern, assisting with cultural activities, language learning and student affairs issues. In June 2016, Omar rejoined the Educational Abroad team as the Program Officer, overseeing extra-curricular aspects of the program and providing essential logistical arrangements. Ghassan Tlili moved to Amman, Jordan early 1980’s with grandparents from Lebanon and has lived in Jordan since that time. 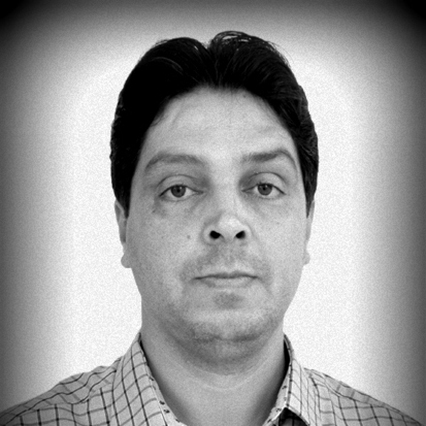 Ghassan attended high school in Amman and received his Bachelor’s degree in Marketing from the University of Petra. While studying, Ghassan worked with the U.S. Peace Corps in Jordan as an Administrative and Medical Assistant. Ghassan has a passion for humanitarian work and has volunteered with Operation Smile in Jordan, where he served as a translator for the medical team and took photographs for the organization. In addition, Ghassan also worked as a Community Mobilizer for Save the Children helping displaced children from surrounding countries locate a safe environment. In his free time, Ghassan likes to go on road trips with his wife and friends around historical sites in Jordan. Ghassan has been working with AMIDEAST since the spring of 2017. Alex Novelli has served as the Director of Programs for AMIDEAST in Rabat, Morocco since January 2014, managing the Study Abroad and English Language programs. Alex has extensive experience with nonprofit management, education and training, and he has worked in Morocco, the U.S. and Spain. Alex's first experience living abroad was on a semester in Spain, during which he traveled to Morocco. To this day, crossing the Strait of Gibraltar by boat (in either direction) retains the thrill of that first voyage. 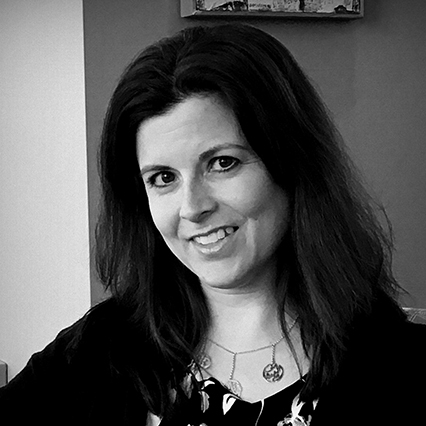 After a decade of working in marketing and nonprofit program management in New York City and Washington, D.C., Alex moved to Morocco and joined AMIDEAST as an English teacher from 2002-2003. From 2004-2006 he worked as a marketing consultant and English teacher in Madrid, Spain. Immediately prior to joining AMIDEAST as Director of Programs in Rabat, Alex worked in the Education and Training division of NeighborWorks America, in Washington, D.C. and as a consultant based in Morocco for Kidsave International. Now, Alex manages the day-to-day activities for the Education Abroad team and the English Language Program, and ensures the quality of programs and services offered at AMIDEAST. Novelli earned his Master's degree in 2007 in Teaching from the University of Maryland University College, and he holds a B.A. in History with a minor in Spanish from the University of Pennsylvania. Doha Ait Ahmed has extensive experience in helping students of all ages and interests discover Arabic and Moroccan culture. Her origins go back to Agadir, a city in Southern Morocco famous for its beautiful beaches and strong Amazigh (Berber) influence. Doha earned her B.A. in English from Ibnou Zouhr University, making English the fifth language she has mastered. Doha began her profession in international education with the U.S. Peace Corps in Morocco, where she taught Tashelhit (an Amazigh dialect), coordinated homestays, and provided cross-cultural training. During this time, she also spent her summers working with youth volunteers at training and development centers in Fez. Doha joined AMIDEAST in the summer of 2008 as a group leader facilitating high school students’ intercultural experience. The following semester she taught Moroccan Arabic, oversaw cross-cultural training, and organized program excursions. In 2009, after teaching and facilitating program activities, Doha expanded her expertise to include assisting with the planning and design of various Education Abroad programs at AMIDEAST. She has since held a number of roles with Education Abroad at AMIDEAST, from training new staff to supervising curriculum development to designing and leading student orientations. She also authored various texts and a book for teaching Moroccan Arabic, Darija, and compiled the Wharton Arabic Book Lauder Institute Arabic and Culture. In summer 2013, Doha worked as the Institute Director for Critical Language Scholarship in Rabat where she oversaw the flow of all aspects of the program: academics, language and cultural activities, and cultural excursion throughout Morocco. Currently Doha is the Program Officer for Student Services in Rabat, where she helps students adapt to Morocco and enjoy their experience abroad. She is dedicated to the expansion and continued improvement of AMIDEAST Education Abroad Programs. Colleen, a former Peace Corps volunteer, has a strong passion for social justice, youth engagement, languages, religious and cross-cultural dialogue. She earned a BA in English and Faith, Peace, and Justice from Boston College, where she first came to love the MENA region as a study abroad student in Spain in 2005, and she has been traveling and living in the region ever since. After serving in the Peace Corps in a small town outside of Marrakech, Morocco, Colleen worked on short-term exchanges for American students visiting Morocco from Spain, and led a summer-long NSLI-Y program for high-school-aged Americans learning Arabic in Marrakech. In 2013, Colleen completed her Master’s in Intercultural Communication (ICC) at the University of Pennsylvania where she collaborated closely with faculty and students to design a new graduate level course that focuses on training design and experiential learning. Colleen continued her study of Arabic at Penn and received a Critical Language Scholarship in the summer of 2012 to study MSA and khaliji dialect for a summer in Salalah, Oman. In the summer of 2013, she spent time in Lebanon studying the shami dialect of Arabic. After graduating from Penn, Colleen worked with Global Experiences, which facilitates internships all over the world for US and international students. Colleen comes to AMIDEAST by way of CorpsAfrica/Maroc, a Moroccan non-profit designed to give young Moroccans the chance to volunteer for a year in high-poverty, rural communities in their own country. Colleen has been working with AMIDEAST since 2015. Nabila Jaber serves as Program Specialist for Education Abroad and Exchanges at AMIDEAST Rabat. In this position she works on program development and implementation for American students, and also manages all aspects of the YES program for Moroccans going to the U.S. Prior to this position, Nabila served for six years as the Monitoring and Evaluation Assistant for AMIDEAST Morocco. Nabila earned her B.A. in 2008 in Communication & Marketing from the Institute for Leadership and Communication Studies in Rabat. Prior to joining AMIDEAST in 2011, Nabila worked for the High Atlas Foundation as a Training Center Coordinator in Morocco. In this position she organized and coordinated logistics for training and community-based workshops in participatory development for Moroccan and American university students. Nabila has also spent time volunteering with AIESEC Morocco, which facilitates international internships for Moroccan and international students. Nabila was an International Trainee in the Nour Program- AIESEC Netherlands during summer 2007. The Nour project attempts to foster understanding between young people from both the Middle East/North Africa region and the Netherlands. The program promotes cultural diversity and, more importantly, understanding of the similarities between different cultures. Through her previous experiences working as a Freelance Project Assistant with event management companies, Nabila has developed a strong sense of customer service, project management, and coordination. Hind is from the city of Benguerir in the central south of Morocco. She has a Bachelor’s degree in Management and Insurance, and is working towards a Master’s degree in Social Innovation and Social Economy at Hassan II University in Casablanca. Hind first started working for AMIDEAST in October 2014 at the Rhamna Skills Center in Benguerir, setting up and supporting local programs for cooperatives and revenue-generating activities. She was also responsible for the development of training programs tailored to the needs of the targeted population, including entrepreneurial skills, financial monitoring, and developing business plans, as well as supporting the participants in the field. Prior to joining AMIDEAST, Hind worked as an insurance auditor. Hind moved to Rabat to join the AMIDEAST Education Abroad team in December 2018 as the Home Stay Coordinator. In her free time she likes to do volunteer work, working with young entrepreneurs, and running training workshops. Otmane joined AMIDEAST as an intern in 2008 after graduating from the Access Micro Scholarship Program and started working in the English Language Department in the Rabat office in 2009. He completed his degree in English Studies at Mohammed V University in Rabat in 2012 and his degree in Public Law from Hassan II University in Mohammadia in 2018. In 2017, after 8 years with the English Language team at AMIDEAST, he became the Homestay Coordinator for the Education Abroad Programs. In 2018, he became the YES Abroad Program Specialist. Otmane is also currently working on his first novel in Arabic.